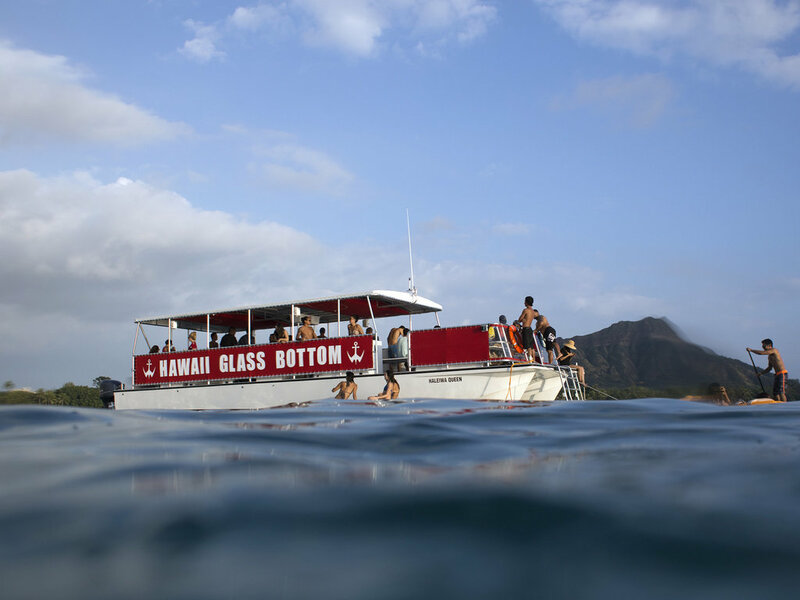 Through the on-deck ports of the Haleiwa Queen glass bottom boat, you can explore the vibrant, lovely ocean floor below. The Haleiwa Queen is a 50 foot power catamaran. Through the on-deck ports of their glass bottom boat you can explore the vibrant, lively ocean floor below. Keep an eye out for sea turtles, dolphins, tropical fish, shipwrecks, and living coral reefs as you tour along O‘ahu's South Shore. Hop on one of their daytime or sunset tours, or inquire about booking a private event. Tours are friendly for guests of all ages, and can accommodate up to 50 people at once.